How to Apply UI Test Automation in React Native Apps? Hybrid approach helps in delivering functional mobile apps but does it assist in keeping high quality of deliverables? Are our liked and well-known test processes still valid and prefeclty-suited for React-Native projects? During this talk, I would like to present you that we currently have proper toolset for this — I will show you how to automate UI tests for hybrid apps using Detox framework. I am going to make it clear how to face with common problems of test automation – api mocks, simulating device state or test results reporting. 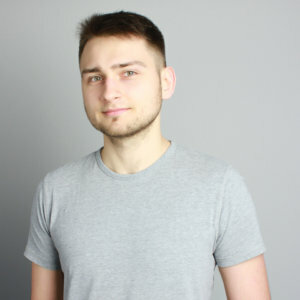 Adam has been working as a tester of mobile applications for 2,5 years. Over this time he was involved in creating various native technologies for Android and iOS. Now he is focused on providing test automation for React-Native applications. He loves cycling, playing the guitar and reading philosophy.